MerleFest kicked off its 31st annual homecoming of musicians and music fans with an all-star lineup this week. The festival returned to the rolling hills of Wilkes Community College in Wilkesboro, North Carolina, with a legendary first-time MerleFest performance from Kris Kristofferson, backed by The Strangers (Merle Haggard’s original backing band and son Ben Haggard). Also on the mainstage, Texas songwriter Robert Earl Keen, funky-roots outfit Shinyribs, Wilkesboro, North Carolina-based Kruger Brothers, and Latin-tinged country group The Mavericks. Fans were also treated to performances by Aaron Burdett, Banknotes, Donna The Buffalo, and The Mastersons. Pete “Dr. Banjo” Wernick led his 28th consecutive MerleFest Jam Camp, culminating in a showcase with jam camp participants on the Cabin Stage after the Kruger Brother’s performance. Merlfest offers a variety of activity with 13 stages set up around the Wilksbro campus. Other activities include nature walks, Acoustic Kids Showcases, Little Pickers Area, a Pickin’ Place along with an array of food vendors and craft stalls. MerleFest was founded in 1988 in memory of the son of the late American music legend Doc Watson, renowned guitarist Eddy Merle Watson. MerleFest is a celebration of “traditional plus” music, a unique mix of traditional, roots-oriented sounds of the Appalachian region, including old-time, classic country, bluegrass, folk and gospel and blues, and expanded to include Americana, classic rock and many other styles. The festival hosts a diverse mix of artists on its 13 stages during the course of the four-day event. MerleFest has become the primary fundraiser for the WCC Foundation, funding scholarships, capital projects and other educational needs. The Chris Austin Songwriting Contest is held each year as part of the Merlefest Americana Music Festival in Wilksbro North Carolina. This year The Chris Austin Songwriting judges have announced its list of finalists for 2015. Among the list is a couple from Australia whose music has been enjoyed by festival goers over the years. Hunter and Suzy Owens have been listed among the finalists in the Country Music Category with their song “It Would Be Easier”. 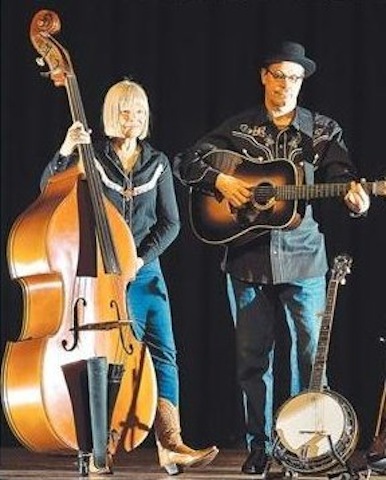 Hunter and Suzy entered the competition in an effort to take their songwriting to a wider audience and Merlefest which attracts upwards of 80,000 people over the four-day festival period. We spoke to Hunter this week who said that the whole process has been straightforward and the communications with the Merlefest administrators excellent. Hunter and Suzy entered several songs across a few different categories category. “It Would Be Easier” was written a while ago, according to Hunter but it has always been a favourite of those who attend their concerts. We will be performing our song live before a panel of three at Merlefest for the final judging and we understand that we will get to perform it again. Just being able to go to Merlefest is dream come true, but to be part of this competition makes it even better – Hunter Owens. MerleFest offers songwriters the opportunity to have their original songs heard by a panel of professional songwriters and others from the Nashville music industry by participating in the Chris Austin Songwriting Contest! Net proceeds from the Chris Austin Songwriting Contest go to support the WCC Chris Austin Memorial Scholarship. Since its inception the Chris Austin Scholarship has helped 75 students and awarded over $34,000. 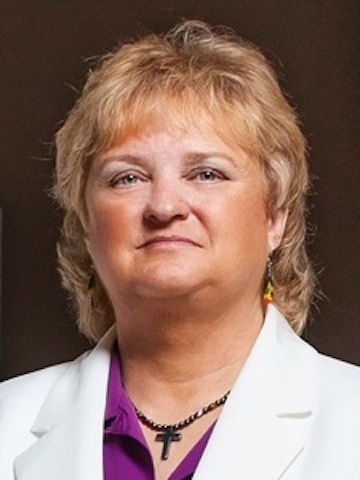 Carolina Road bandleader, Lorraine Jordan, has been selected as a finalist in the Chris Austin Songwriting Contest, hosted by MerleFest 2013. Jordan and eleven other finalists were selected from over 700 applicants; her song, “Judgment Day”, is one of three original compositions in the Gospel / Inspiration category. It is an honor to be chosen as a finalist for such a prestigious competition a second time. I am excited to perform at Merlefest and thankful for the support of my fans and fellow musicians – Lorraine Jordan. Contest finalists will compete during this year’s Merlefest on Friday, 26th April, at 2 p.m. on the Austin Stage in Alumni Hall on the campus of Wilkes Community College. First place winners will receive a performance slot on the Cabin Stage. This year’s competition will be judged by Matraca Berg, Lynda Dawson and Chris Smither and directed by Grammy®-winning singer/songwriter Jim Lauderdale. Judging is based on a song’s originality, lyrics, melody and overall commercial potential. An accomplished mandolin player and vocalist, Lorraine Jordan has performed bluegrass music for over twenty years and was a finalist in the IBMA Songwriting Showcase and 1st runner-­-up in the Chris Austin Songwriting Contest at Merlefest 2005.She formed Carolina Road in 1998 and is a co-­-founder of Daughters of Bluegrass. Lorraine Jordan & Carolina Road host the Christmas in the Smokies Bluegrass Festival and Bluegrass in Cherokee, and Lorraine is proud to endorse Gibson Mandolins, GHS Strings, Colorado Cases, CT Straps, Intellitouch Tuners, and Blue Chip Picks. News from Wilkesbro Community College – Merlfest. MerleFest 2011, presented by Lowe’s, is proud once again to host the Chris Austin Songwriting Contest. Now in its 19th year, the contest is an extraordinary opportunity for aspiring writers to have their original songs heard and judged by a panel of Nashville music industry professionals, under the of this year’s volunteer contest chairperson, Grammy-winning singer/songwriter Jim Lauderdale. Details about entry fees, eligibility and other requirements are available at Chris Austin Songwriting Contest . The deadline for submissions is 18th Feb. 2010. To be eligible to enter, a songwriter must not derive more than 50% of his or her total income from songwriting or from music publishing. The contest recognizes winners in four categories: country, bluegrass, gospel and general. First place winners in each category receive a performance on the Merlfest Cabin Stage (29 April – 2 May), an acoustic guitar, a cheque for $300, two boxes of D’Addario strings and one-year subscriptions to both Acoustic Guitar and American Songwriter magazines. Second and third place winners in each category receive performance slots on the Friday night Songwriters Coffeehouse, as well as cash prizes, D’Addario strings and subscriptions to Acoustic Guitar and American Songwriter. MerleFest 2011, is scheduled for 28th April to 1st May 2011, and has announced the initial lineup for the event’s 24th year. The following artists will join host Doc Watson on the campus of Wilkes Community College for a celebration of traditional-plus music a term Doc coined to describe the unique mix of traditional, roots-oriented sounds of the Appalachian region, including bluegrass and old-time music, and expanded to include Americana, country, plus whatever other styles we were in the mood to play. Doc Watson, Richard Watson, Susana and Timmy Abell, Alberti Flea Circus, Balsam Range, The Banknotes, Rory Block, Roy Book Binder Alison Brown Quartet, Buffalo Barfield, Sam Bush Band, Cadillac Sky, Michael Cleveland and Flamekeeper, T. Michael Coleman, Crooked Still, Ken Crouse, Donna The Buffalo, The Doobie Brothers (with newest member John Cowan), Casey Driessen, Eleanor Ellis, Emmitt-Nershi Band, Paul Geremia, Mitch Greenhill, George Hamilton IV, Harper, Corey Harris and Phil Wiggins, John Hartford String Band, Bob Hill, David Holt, The InterACTive Theater of Jef, Veronika Jackson, Jeff and Vida, Johnson’s Crossroad, Catfish Keith, The Kruger Brothers, Sonny Landreth, Jim Lauderdale, Jack Lawrence, Jeff Little, The Local Boys, Lyle Lovett, Lost Bayou Ramblers, Corb Lund, Bill Mathis, Andy May, Del McCoury Band, Nashville Bluegrass Band, The Neighbors, Tim O’Brien, Pauls Creek Band, Red Molly, Peter Rowan Bluegrass Band, Scythian, Shana Banana, The Sigmon Stringers, Sinai Mountain Ramblers, Slate Mountain Ramblers, Steve and Ruth Smith, Joe Smothers, Synder Family Band, Tut Taylor, Town Mountain, Happy Traum, The Wailin’ Jennys, The Waybacks, Charles Welch, Pete and Joan Wernick, Wilkes Acoustic Folk Society, Josh Williams Band, Tony Williamson and the Zephyr Lightning Bolts. The MerleFest 2011 lineup offers an incredibly exciting, diverse and talented group of musicians, which is always our mission as a festival. Another goal this year is to give our festival attendees up-to-the-minute information about lineup additions and other aspects of MerleFest. As new artists are added, we will share that information immediately through our social media venues – Festival Director Ted Hagaman. The MerleFest box office will open for 2011 ticket sales on Tuesday, 9th November, at 2:00 p.m. EST. Ticket purchases can be made on the web at www.merlefest.org. An early bird ticket discount is available through March 13, 2011. MerleFest was founded in 1988 in memory of Eddy Merle Watson as a fundraiser for Wilkes Community College Endowment Corporation and a celebration of traditional plus music. Scheduled for 28th April to 1st May 2011. The event is held on the campus of Wilkes Community College in Wilkesboro, North Carolina. 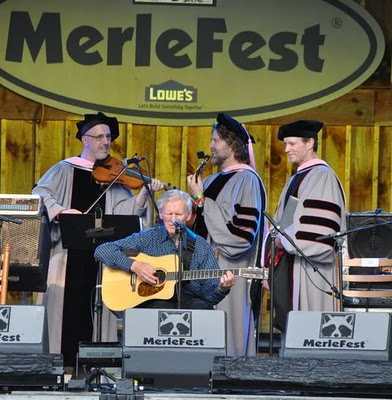 Legendary Â guitarist Doc Watson was presented with an honorary doctor of music degree from Berklee on Saturday 1st May at MerleFest, in Wilkesboro, North Carolina. The award was presented by Matt Glaser who is the artistic director of Berklee’s American Roots Music Program. Also on stage was and professor Stephen Webber. and Rusty Williams a Berklee trustee. The audience of some 20,000 people gave the legend a highly deserved standing ovation as the presentation was made on the Watson Stage in the Wilksbro University grounds . You can read a review of the festival on Ted Lehmann’s blog. Cindy Baucom has advised that she has posted up some pics of this year’s Merlfest on her blog Â – www.kneedeepinbluegrass.blogspot.com. Cindy has a radio show called Knee Deep In Bluegrass and her own facebook site. Preparations are well underway for MerleFest 2010, which begins next Thursday, April 29, and runs through Sunday, May 2, on the campus of Wilkes Community College in Wilkesboro, North Carolina. Merlfest is now in its 23rd year after being founded in 1988 in memory of Doc Watson’s son, Eddy Merle Watson as a fundraiser for Wilkes Community College and a celebration of traditional plus music. Merlfest features four days of performances by over 100 artists on 15 stages. As in previous years, the list of performers fits the traditional plus definition offered by Doc Watson when describing the rich musical diversity that is a hallmark of the event.Â Sounds of bluegrass, blues, gospel, country and Americana will fill the air. The award-winning lineup represents a group of artists who have collectively earned over 20 Grammy Awards, 46 International Bluegrass Music Awards and 4 Americana Music Association Awards, among many others. Doc Watson himself was awarded the National Heritage Fellowship by the National Endowment for the Arts in 1988; received the National Medal of the Arts from President Clinton in 1997; and was awarded the Lifetime Achievement Award by the National Academy of Recording Arts & Sciences at the 2004 Grammy Awards show. The complete lineup and stage schedules are posted at www.merlefest.org. Fans at MerleFest can also expect the unexpected, with special surprises, spontaneous jam sessions and one-of-a-kind musical collaborations. If you’re in North Carolina in April, you need to do Merlfest. Thinking of Going to Merlfest? The deadline for Early Bird ticket prices to MerleFest 2010, presented by Lowe’s, has been extended to Tuesday, 6th April, at 5:00 p.m. EDT. That is the last day to purchase 4-day and 3-day tickets at the Early Bird price, representing an average 10% discount. Ticket purchases can be made on the web at http://www.merlefest.org or by calling 1-800-343-7857. Free parking is available, and children 12 years of age and younger are admitted free to the festival when accompanied by an adult with paid admission. MerleFest 2010, presented by Lowes, will celebrate its 23rd year from 29th April – 2nd May, 2010 on the campus of Wilkes Community College. There will be over 100 acts performing on 15 stages during the course of the event, with a complete list of confirmed performers is available at www.merlefest.org. As in previous years, the list of performers fits the traditional plus definition offered by Doc Watson when describing the rich musical diversity that is a hallmark of the event. 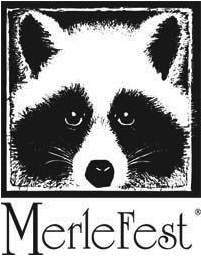 MerleFest was founded in 1988 in memory of Eddy Merle Watson as a fundraiser for Wilkes Community College and a celebration of traditional plus music. The submission deadline for the Chris Austin Songwriting Contest, hosted by MerleFest 2010 presented by Lowes, is fast approaching. All entries must be received by 18th February 2010. Now in its 18th year, the contest is an extraordinary opportunity for aspiring writers to have their original songs heard and judged by a panel of Nashville music industry professionals, under the direction of this year’s volunteer contest chairperson, Grammy-winning singer/songwriter Jim Lauderdale. Details about entry fees, eligibility and other requirements are available at chrisaustinsongwritingcontest.org. To be eligible to enter, a songwriter must not derive more than 50% of his or her total income from songwriting or music publishing. Entries Must Be Received by February 18, 2010.